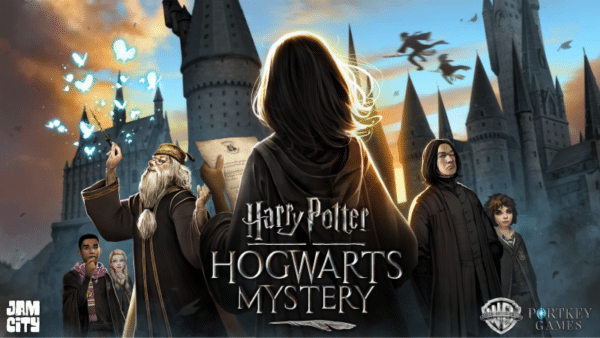 Jam City and Portkey Games are giving players the opportunity to join in the Christmas decorating at Hogwarts in Harry Potter: Hogwarts Mystery. The Christmas with Hogwarts Mystery ornament activity will run from 6th through to 12th December and cast a vote for their favorite tree ornament. 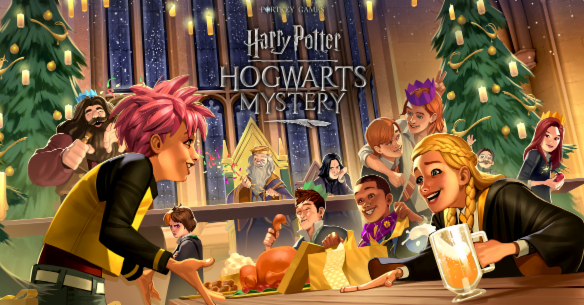 It’s Christmas time in Harry Potter: Hogwarts Mystery and in celebration, each House’s common room at Hogwarts will feature its very own Christmas tree festooned in their respective colours. Until the 12th December, players are invited to visit the Harry Potter: Hogwarts Mystery Facebook, Twitter or Instagram to view and vote on a selection of Christmas ornaments. The most voted ornaments will be unveiled on 13th December and followed by a video revealing the in-game Christmas tree, spotlighting all of the decor. This video will also provide a teaser for a time limited sidequest about the Weasleys and if this wasn’t enough the video will also give instructions on how fans can create a real world replica of the winning tree ornament. Make sure you vote for your favourite Christmas decoration this year.